Bart Kelleher is a multi-faceted maritime executive with 20 years of progressive experience in the shipping industry. Since 2016, Kelleher has served as Chief Strategy Officer for Chembulk Tankers, in a role that spans across the organization, with a focus on strategic planning, business development, market analysis, mergers, acquisitions & divestitures, and capital raising. Kelleher has also recently been named Chief Financial Officer for Chembulk, with an expanded scope to include the finance and accounting functions as well as corporate strategy. Kelleher previously served as COO for Apollo's Principal Maritime from the company's formation in 2010 and as acting CFO during the company's start-up and growth phases. 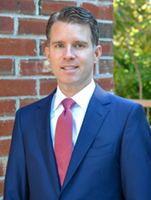 Kelleher has prior financial industry experience at Bear Stearns and HSH Nordbank. Earlier in his career, he served as a deck officer onboard oil tankers and held management positions in the cruise industry and with a leading naval architecture firm. Kelleher earned a BE in Naval Architecture from New York Maritime College, an MS in Ocean Systems from MIT, and an MBA from Columbia Business School.